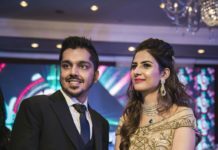 A Fairytale Wedding For Aashna And Bhisham - Wedding Affair var admin_url = "https://weddingaffair.co.in/wp-admin/"
Aashna Khurana and Bhisham Chawla got hitched on February 25 in an elaborate ceremony held in Karma Lakelands, Gurugram. 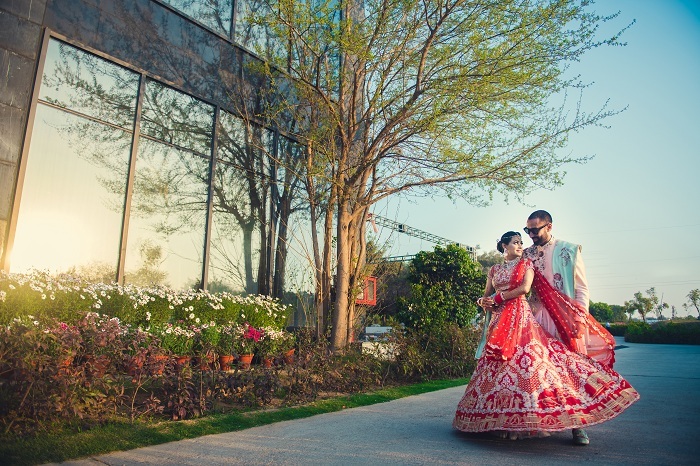 The pre-wedding rituals started from February 23 began with the mehendi which took place at the K-villa in Vasant Kunj. 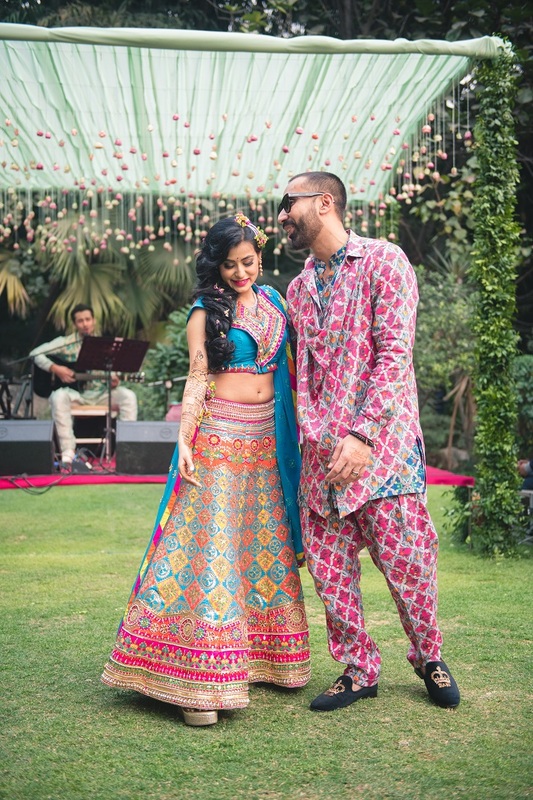 Aashna looked like a dream in her Manish Arora lehenga with her to-be-husband’s initials on the sleeves of her blouse. Her mother Divyajyotee Sharma, an actress conceptualised her look for the haldi ceremony. For the mehendi ceremony the decor was done keeping in mind the positive vibe of the event. The ambience was a pastel dream come true. The highlight of the event was the flash mob planned by Bhisham at Aashna’s entry. The bride in turn surprised her Mr. Right by singing “Tu Hai Hero Mera” for him. With a six feet unicorn laced with fairy lights, placed in the middle of the pool added a surreal touch to the sangeet ceremony which was replete several dance performances. The wedding was a daytime affair so the decor was customised to keep it easy on the eyes. The mandap was swapped for the shade of a ginormous tree for the pheras. The trunk was covered with a swirl of flowers and light drapes and elegant chandeliers held onto the branches. Soulful singer Kailash Kher performed at the wedding.